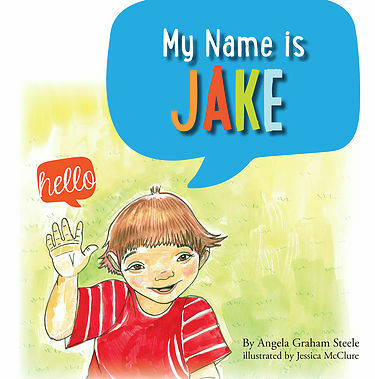 This is a beautifully illustrated, wonderful book, emphasizing the beauty and joy that is Jake. While the book is geared toward children, the lesson is important for us all, young and old. No matter how different we may seem, we are more alike than different. 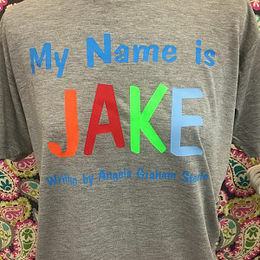 My Name is Jake is a wonderful book to share with children. The explanation of Down Syndrome is written using words and illustrations young children can understand. It is refreshing to see a book about a child with a disability being the main character. I hope to see more from this author! As a teacher of students with special needs, this book explains how we are all created to be unique. I have had the privilege to know Jake. This is a book I will use when explaining how people with disabilities are more like everyone else than different. God has great things in store for the Steele family. As a pre-k teacher this book is wonderful. I work in a school where special needs kids are learning along side of other students. This book is used to explain how we are all special and unique. It puts a tough subject for adults to talk about into terms kids can understand. It answers the questions they have and explains how they are all just kids who love to learn and have fun! This book is a treasure for my classroom.